At RTXAU we had the opportunity to see Norman from Opaque Media Group give a panel about Virtual Reality (VR) and their project EarthLight. It was amazing to see what VR could do and where it was headed with development. We spoke to Norman about Earthlight and VR in general. 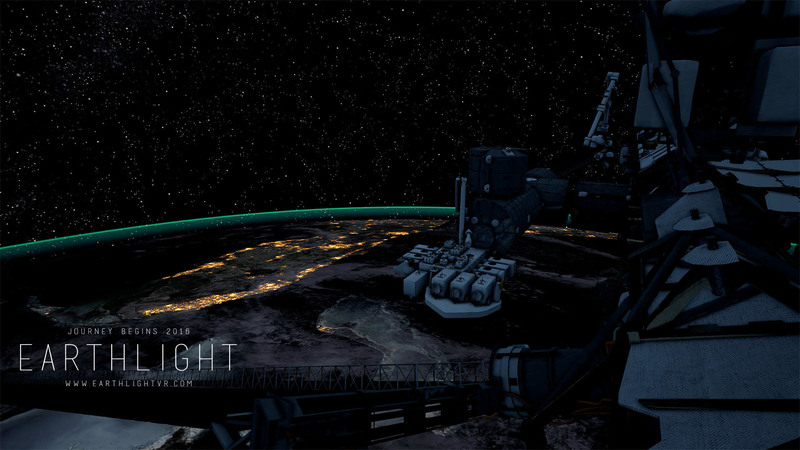 Q. EarthLight allows a user to experience the life of an Astronaut, why was this experience chosen when developing Earthlight? A. Humanity has this fundamental need to know. And that led to us wanting to know why things work the way they work and wanting to know what lies just beyond that mountain, what lies on the other side of the ocean. We now have a pretty good idea of what is on this planet, and naturally, we turn our eyes upwards to that which lies beyond the sky – space. I have never met a single person who didn’t want to go to space. Sure, some people were concerned about the height or the safety of space travel, but the prospect of being able to experience space really is an extension of the fundamental drive to know that fuels human exploration. This was the fundamental driver of Earthlight. We wanted to allow people to experience the journey of going to space – ala, becoming an astronaut, as well as all the wonders and perils it entails. Q. What research went into building Earthlight? A. Quite a bit actually. We’ve scrubbed publically available archives to establish the scientific plausibility and operational authenticity and then inundated the incredibly helpful folks at the NASA Public Affairs and Media Offices with questions that we can’t quite find the answer for. We will be making, at least, two trips to Houston to collect further references and directly interview people who support astronauts, and if possible, actual astronauts. We have even gone to the lengths of looking at how communication between astronauts change as they build rapport with each other, we’ve gone through the medical manual (a 1600 page document) to identify treatment procedures for various medical conditions that we may want to depict. Short answer: We’ve gone to exhaustive length to make sure that we are creating an authentic experience. Q. I hear you worked with NASA to build EarthLight, what role did they play? A. We collaborate on a number of different things, but primarily, NASA consults us on the authenticity of Earthlight – the scientific plausibility (things we are depicting can actually happen in real life) and operational authenticity (things in the game happen as they would). Beyond that, we also talk to them about what is the story they want to tell, and we facilitate that as much as possible. The other part of NASA that we’re engaging with is the JPL OpsLab – the group responsible for prototyping commercial technologies for other parts of NASA. We speak to them about VR tech and we keep each other up to date on VR-related experiments we’ve been undertaking and lessons learned on both the hardware and software front. Q. Virtual reality is a developing technology, where do you see VR in the next 10 years? A. Human cognition presents an absolute upper bound for how realistic VR experiences can get, but as with most things, we can get to 80% with 20% of effort, and that last 20% will take 80% of the effort. So how close we can get to real-life, will depend on whether the technology improves linearly, geometrically, or exponentially. I am of the opinion that in the not so distant future, we will see VR and AR being completely subsumed by MR devices like the HoloLens and MagicLeap. Q. At RTX, you spoke about the development of Video games over the past few years, from text-based to 3D role-playing games. What role do you think VR will play in the ever growing game development industry? A. I think VR will do two things to gaming. The first is to augment it in the context for which it is already appropriate – for example, Elite Dangerous, EVE: Valkyrie and the variety of driving games that already support Oculus. The other application is to use presence to tell stories that can only be told in VR. The example I gave on gender swapping, and cognitive experiments like Living with Lag can only be done in VR. Earthlight is designed from the ground up to be a story that is best experienced in VR, as are The Climb and Everest VR. Although these games and applications can technically be experienced outside of VR, but it will be a fundamentally different experience. Q. At RTX Opaque Media worked on the RWBY Live show, What sort of challenges did this present when designing the show? A. As we were responsible for building all the integrations between the various pieces of the technologies used for the show (Unreal Engine, Kinect 2, Faceware Live), we are uniquely positioned in the world as the people who is also most experienced with developing on this technology stack. As each individual components are all robust and production-tested, we didn’t actually encounter a huge amount of problem putting everything together. The one thing we were most worried about was actually the venue. The setup had very specific requirements for the venue and the AV setup, which we were worried may take a lot of effort to put together. Thanks to the efforts of everyone involved, that part also went very smoothly. Q. Did you enjoy RTX and what was your favourite moment? A. RTX was fantastic fun. Personally, my favourite moment was hearing the cheer from the audience from backstage as the RWBY Live panel was happening. We certainly hoped that it will be well-received, but we had no idea just HOW well it might be received. Check out the RWBY Panel and see some of the technology at work. You can checkout Earthlight here. A big thanks to Norman and Opaque Media Group for making this article happen.